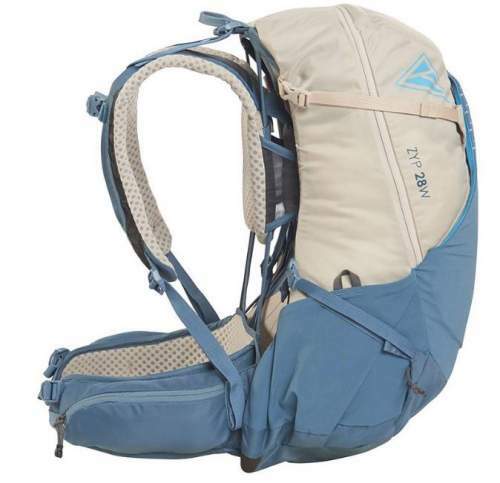 This Kelty Zyp 28 Pack for Women is a pack from a completely new series Kelty launched in 2019, with a metal frame and an adjustable torso size. Kelty Zyp 28 Hiking Daypack for women. The pack is available at the US Amazon store, it is new on the market and it might appear soon on their other global stores. So check the link and see if you can find on your local Amazon store and save on shipping. 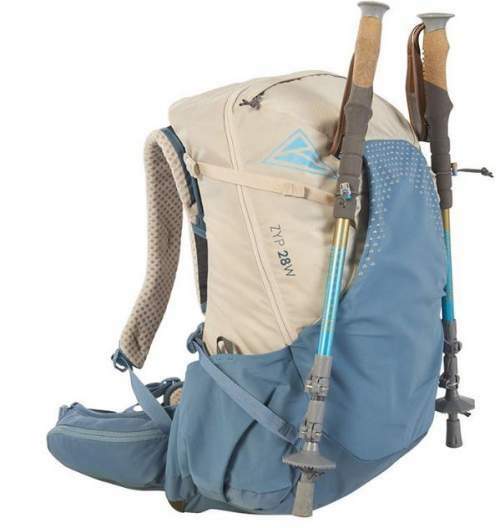 This Zyp 28 is a women-specific pack from the series of three that also includes the packs of 38 and 48 liters, you will see them all below on the bottom of the page. The series includes also three men-specific packs Zyp 28, Zyp 38, and Zyp 48 liters. So this is the smallest pack in the series and it is the panel-loading type while the bigger packs in this series are with a fixed lid. 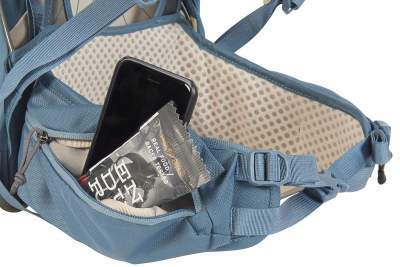 The pack is also hydration compatible, so you have an inner sleeve where you can store your water reservoir. Note that the pack is without a bottom compartment, but this is not expected for such small packs. Though in the comparison table below you will see one with a bottom compartment. So the panel entry here is the only one, the bigger packs in the series have yet another side entry point. The side view showing the harness separated from the pack’s body. The side straps and one hip belt are also visible. But here you have something special, they call it PerfectFit system and this implies that you adjust the torso length with the pack on your back. 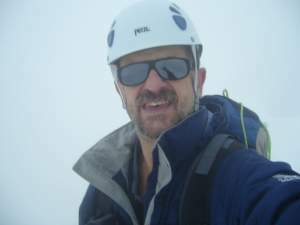 They use this system in many of their packs, and you will not find something similar in any other brand on the market. Note also that this is the smallest of all their packs built so far that have this excellent adjustability system, and this is the smallest of their packs in general that has an adjustable torso size. So even for Kelty’s standards, this is quite an exceptional backpack. The adjustable shoulder harness and the back tensioned mesh which is almost invisible here. The padding is excellent on the shoulder harness where you have a very cool looking mesh covering the foam. The hip belt padding is a bit less impressive but this is completely enough for such a size. The picture above shows you that you have load lifters and also an adjustable sternum strap. So clearly, nothing is missing here and this is an excellent design. Observe also the front straps on the hip belt, they create those V-shaped profiles on both sides which converge to the front buckle. This is for a perfect hugging of your hips when you tighten the hip belt. This is always the best design to have with those front straps. Two side stretch mesh pockets. One large stretch mesh front pocket. Here you have access from two sides, it is sewn in to the pack on the top. One zippered pocket on the top. One of the zippered hip belt pockets. One of the side stretch pockets. 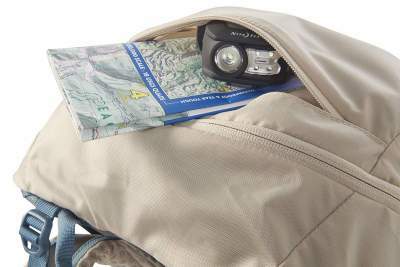 The pack comes with dual compression straps on both sides, and you can use them also to keep in place any long items carried in the side pockets. This is the Zyp 28 with trekking poles attached. Weight: 2 lb 13 oz (1.275 kg). Volume: 1708 in³ (28 L). Dimensions: 21 x 13 x 9 in (53 x 33 x 23 cm). Torso range: 14.5 – 20 in (37 – 51 cm). Optimal carry weight: 10 – 30 lb (4.5 – 13.6 kg). My only true objection to this Kelty Zyp 28 Pack for Women is about the missing rain cover, but this may not be so important to you. 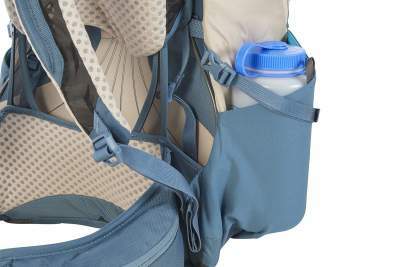 In any case, they built it nicely and it has some features that you would not expect in such relatively small daypacks. Such an adjustable harness is a bonus as it allows for several members of a family to use it, adjusting the torso size is in seconds. 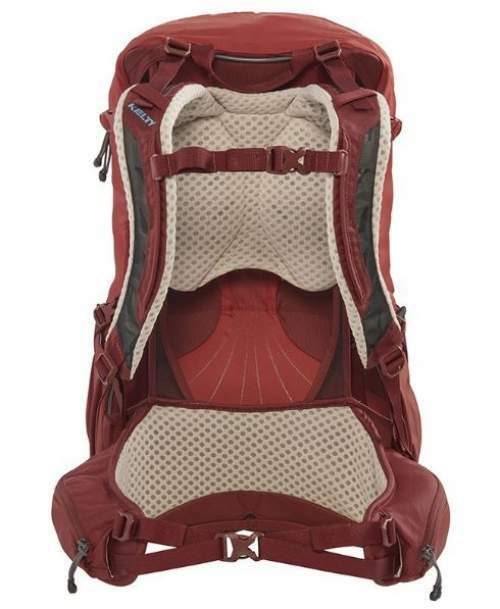 I have included this pack in my list of best day hiking packs for women. If you need more options, please check my page with packs below 35 liters.